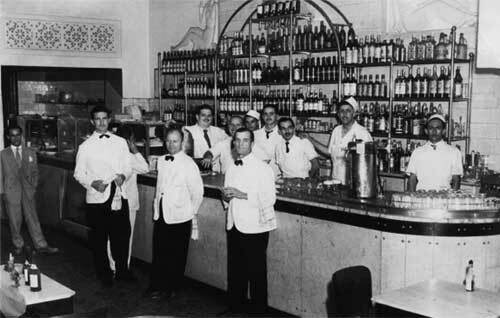 With over 90 years of age and history, Ponto Chic is one of São Paulo's most traditional bars. 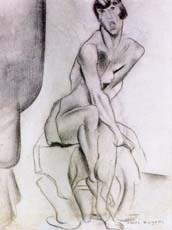 Its inauguration coincided with the Semana de Arte Moderna (Week of Modern Art), and soon intellectuals, artists, and modernists adopted the bar as a stronghold. Ponto Chic Paissandu has served major celebrities like Mario de Andrade, Anita Malfatti, Monteiro Lobato and many others. Students of the Faculdade de Direito do Largo São Francisco (Law School of Largo São Francisco) also became regulars. One of the university's most distinguished pupils was Casimir Pinto Neto, also known as "o Bauru" (The Bauru). Nicknamed after his native city of Bauru, in São Paulo, Casimir invented the sandwich that bore his nickname in 1936, The Famous Bauru, and even today Ponto Chic maintains his original recipe. The Bauru ao Ponto Chic is a delicious sandwich served on a french roll with slices of roast beef, sliced tomato, jarred pickles, and a combination of 4 cheeses melted on a double-boiler (two varieties of yellow cheese, gouda and swiss). All locations have a varied menu of snacks, lunches and traditional dishes of São Paulo's culture. You must visit the Ponto Chic to learn about the traditions and the delights that have been successful for so long! Today there are 3 stores in São Paulo. São Paulo drizzle, cable cars, the ladies in "tailleurs", men in suits and hats roam the cobblestone streets. The ladies gather for afternoon tea, and enjoy taking long puffs of their cigarettes held in elegant holders. Men seek to keep their shoes shiny at their usual shoe shining stations while reading the daily newspaper sold by the paperboy headlining the dizzying speed at which his city grows. Modernists rebel against dictatorial rules which hinder their power of creation. - It's the "Semana de Arte Moderna" (Week of Modern Art). In the hubbub of the machines of Industrias Matarazzo at full blast, the city strides forward. Constructions of skyscrapers, overpasses, bridges; streets are opened and train rails are installed by LIGHT; the gasholder is visited by people with respiratory problems; Cinelândia, at the city's new downtown, buzzes with its attractions. A photographer, standing next to the man with the hurdy-gurdy, invites spectators to register that moment while his parakeet picks a fortune for the pretty lady whose boyfriend wanted to please her with the gift. In this environment, Odílio Ceccini will build a bar -- the venue is a small three-story building located in Largo Paissandu, exceling in this scenery through the use of imported props. Many are the stories related to Ponto Chic: Madame Fifi and her French ladies working in the same building; student assemblies of the Faculdade São Francisco (University of São Francisco); the MMDC and the revolution of 32; the invention of the most famous Brazilian sandwich -- the Bauru; political discussions, football, Sports Gazette, basketball, trading superstars, reaching ideas, texts and compositions inspired by the environment. Even today Ponto Chic maintains its tradition of providing customers the famous and orignial BAURU. 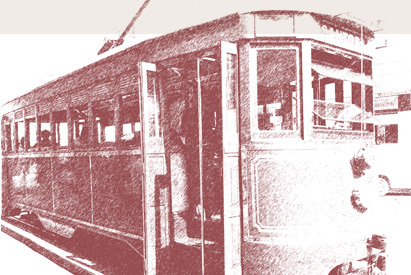 Learn more about the history of Ponto Chic and the city of São Paulo through Ponto Chic, Um Bar na História de São Paulo, by Angelo Iacocca.